Most people feel uncomfortable about having debt and want to get rid of it as soon as possible. Believe me, I’m a huge proponent of living a debt-free life. However, it’s also important to consider whether you should pay down debt–or invest for the future instead. Ask yourself, how can I use my money to get the highest return? The surprising truth is that some types of debt are actually good for you, depending on your goals. In other words, getting rid of certain types of debt ahead of schedule could actually be a bad idea. Should You Invest Now or Later? When you pay off a debt that costs 15% in annual interest, it’s just like getting a 15% guaranteed annual return on your money after-taxes. That’s fantastic because you’d be hard-pressed to find a similar or better investment in the real world. On the other hand, paying down a debt that only costs you 2% or 3% after-taxes is an inefficient use of your money. Why? You could invest that money money instead and make 5% to 7% after-taxes from a fairly conservative investment. Additionally, the longer your invested money grows, the more you take advantage of the power of compounding interest. Investing small amounts today can yield far greater returns than waiting to invest until after you pay down a debt sometime in the future. The bottom line is that if you send extra money to pay down a debt, but overlook investing for retirement, you may be making a huge mistake. Is It Better to Pay Down Debt or Invest? In order to build wealth, spend your money where it can ultimately benefit you the most. Sending an extra payment to your mortgage each month instead of investing in a workplace retirement account or an IRA may be a great idea—if you’ve already got plenty saved for retirement. But if you don’t have a healthy nest egg, you’ll probably earn more by investing your money now, than you would by using it to pay down an inexpensive debt. Delaying investing can really cost you. Some types of debt come with built-in tax deductions. That’s a nice advantage because it makes the debt less expensive on an after-tax basis. Some or all of the interest you pay on these loans can be used to reduce your tax liability. If your after-tax interest rate is less than what you’d earn on an investment, opt to invest your money and keep the debt instead. Interest you pay on other types of debt, such as credit cards and vehicle loans, isn’t tax deductible. But in some cases, the interest is so low that you’re better off keeping the debt. For instance, if you have a car loan that’s less than 5% or an extended no-interest financing offer, use your extra cash to invest for your future instead of paying down the debt. When you finance something that’s likely to increase in value—like real estate or a business—it’s an investment. Using debt to buy an asset that will grow more valuable over time is a smart way to build wealth. Even though debt with good characteristics–like being tax-deductible, having a low interest rate, or being used to purchase an asset that should increase in value–has advantages, you should never borrow more than you can truly afford. 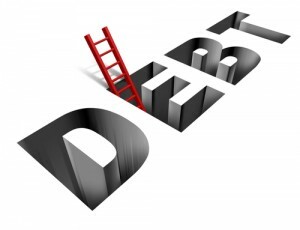 Debt that doesn’t have good characteristics, such as high-interest credit cards and loans, should always be avoided. Financing items that don’t appreciate in value–such as clothes, furniture, or a vacation–using a high-interest credit card is a losing proposition. Most consumer purchases end up costing you two or three times the original purchase price, depending on how long it takes you to pay them off. So choose your debt wisely and understand when it hurts your finances and when it can be used wisely to create a more secure financial future.